Dr. Neelima Mantri is an Obstetrician, Gynecologist and Laparoscopic Surgeon in Mumbai, India, with over a decade of experience in the subject. She is extensively trained in High Risk Obstetrics and has dealt with thousands of challenging obstetric cases with confidence and had successful outcomes. She has received her laparoscopic training from South Korea and performs minimal access surgeries apart from conventional gynecology. 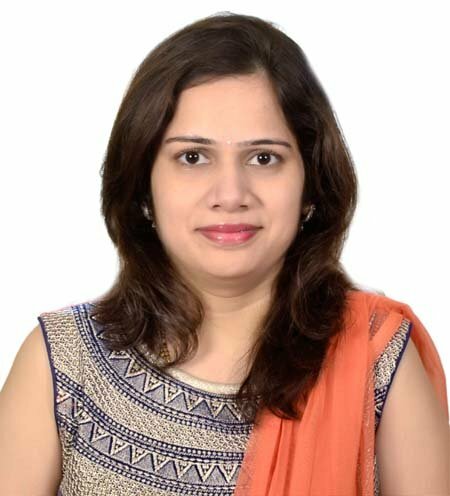 Dr Neelima Mantri completed her under graduate degree from the reputed tertiary care referral centre in India, King Edward Memorial Hospital K.E.M. at the Maharashtra University of Health Sciences. She began her Obstetric career at the Bombay Hospital Institute of Medical Sciences where she passed her Masters degree. Following this, Dr. Mantri had been working as an Assistant Professor at King Edward Memorial hospital ( K.E.M), Mumbai. She has executed Obstetric, Gynecological and Laparoscopic Surgeries and was a mentor, teacher and an examiner to the trainee obstetricians imparting surgical knowledge to the resident doctors of Seth G. S. Medical college and K. E. M. Hospital affiliated with the Maharashtra University of Health Sciences. She has been an invited speaker at numerous conferences as well as delivered health talks at various awareness programs. She has also been a guest speaker at public meetings organised by the Charitable foundations. She has chaired sessions as a panellist on topics related recent advances in the field. Dr Neelima Mantri being one of the best gynecologist obstetricians in Mumbai, can help you from the initial stage of assessment till the child birth or even after that, in case the new mother faces certain issues or have some concerns regarding her reproductive health. Dr Neelima Mantri addresses several adolescent issues like menstrual irregularities, managing pelvic pain, uterine fibroids, ovarian cysts and many other reproductive issues. Being a laparoscopic surgeon, Dr Neelima Mantri have handled cases of investigating infertility, hysterectomy, ectopic pregnancy, polycystic ovarian syndrome, tubal ligation and sterilization. She is considered to be the Best Lady Gynecologist In Mumbai who performs minimal access surgeries apart from the conventional gynaecology surgeries. Dr Neelima Mantri has extensive training in high risk obstetrics and has dealt thousands of risky cases successfully. Vile parle West Mumbai 400056.